For the past 30 years, Brian has worked for faith-based organizations engaged in international relief and development. Since 2000 he has served in a variety of positions with Episcopal Relief and Development. He has been at the center of helping the organization grow from a small denominational organization to a global NGO that works in partnership with Episcopal, Anglican and ecumenical bodies including countless grassroots civil society organizations in over 40 countries. It now serves over 3 million people annually with an annual budget of $30 million. Prior to work with Episcopal Relief & Development he worked with World Vision; Bread for the World; All Saints Episcopal, Pasadena; and the Student Christian Association of South Africa. 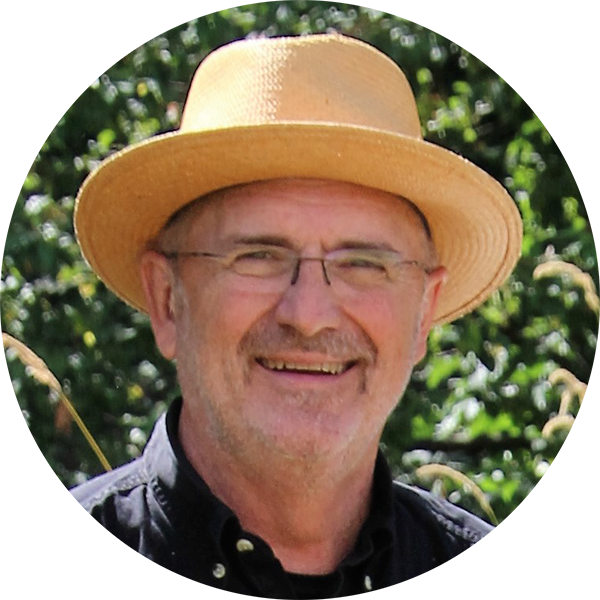 Brian brings to the Vandersall Collective particular interest and expertise in church agriculture, land stewardship, food ministry, environmental justice and civil society engagement. His interest stems from growing up in the agricultural Midwest and the farms of his grandparents in Northeast Nebraska. In his free time he is involved in growing food at St. Mark’s Cathedral in Seattle as well as serving as apiarist at St. Mark’s, the Diocese of Olympia House, and St. James and St. Columba, both in Kent, WA. He has also helped develop curriculum for children and youth on food, God’s creation and hunger alleviation for both World Vision and Episcopal Relief & Development. During his 2012 sabbatical he spent his time visiting church agriculture projects, including farmers markets, church gardens, farms with community supported agriculture (CSA) operations, indoor hydroponic gardens, apiaries, and community garden education. One of key lessons from the sabbatical are the similarities of the small-scale agriculture in the United States with global projects run by Episcopal Relief & Development and their Anglican Partners. The idea of “Lessons without Borders” came to life and led to Brian writing Harvesting Abundance: Local Initiatives of Food and Faith, published by Church Publishing Inc. in 2017. It also underscores the necessity of integrating civil society engagement in all we do as Church. Brian has worked with a variety of organizations and groups as consultant, volunteer and board member paying particular attention to building relationships and networks that can help transform communities and help the church live up the words of Matthew 25. Some of the groups impacted by Brian’s work include the Beecken Center at the University of the South; Episcopal Church in Connecticut; Cultivate: Episcopal Food Movement; Virginia Theological Seminary; Washington Association of Churches; and Holy Family of Jesus Church in Tacoma. His consulting work with the Food and Faith Network of Seattle Tilth included a diverse number of congregations from Christian, Jewish, Muslim and Sikh faith groups. Brian is a graduate of Fuller Theological Seminary. He was a fellow at the School of Theology at the University of South and was recently awarded the Bishop Paul Jones Award by the board of directors of Episcopal Relief & Development.